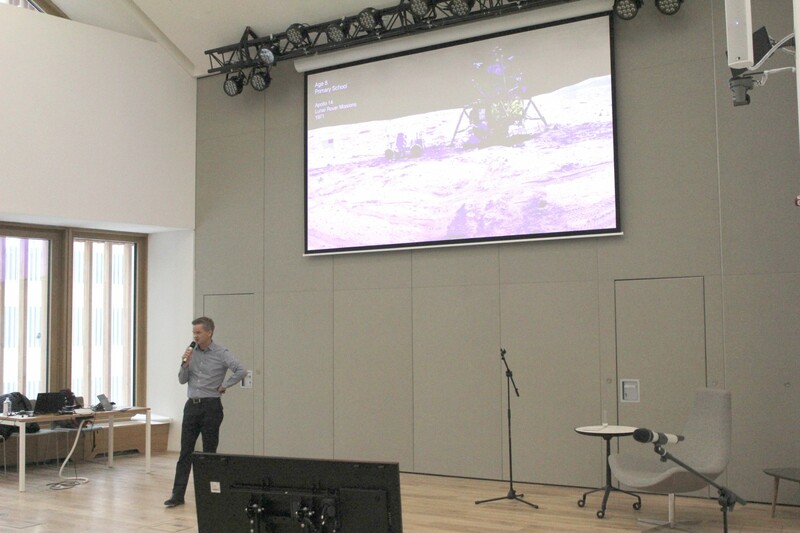 On February 6, Dr. Alistair Scott, Vice President of Intellectual Property at Airbus, presented to approximately one hundred people at Skoltech’s new campus. The focus of his presentation was innovation and entrepreneurship, but Dr. Scott also discussed his own career path trajectory, how he got to where he is now and what inspired him early on. 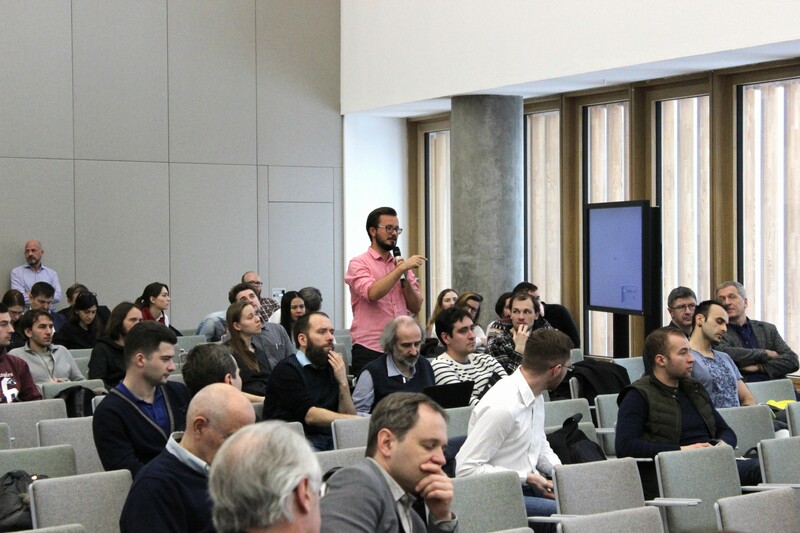 He talked about key characteristics that he values in entrepreneurs & innovators, his personal insights from Airbus, and about the future from his own point of view; that is in terms of where the aviation industry is going. Dr. Scott, originally from New Zealand, has a PhD in Experimental Nuclear Astrophysics and is a qualified patenting lawyer. He described seeing the first image of the Earth from the Moon as his earliest inspiration; the turning point that led to his entering science was Voyager 1’s launch. From the period of 1990-2006, after getting his PhD, he studied and worked in law, specifically in patenting. During the presentation, aside from highlighting some of Airbus’s impressive achievements and future goals thus far, he pointed to how the combination of a scientific background with a professional knowledge of patenting law opened up an entire world for him. 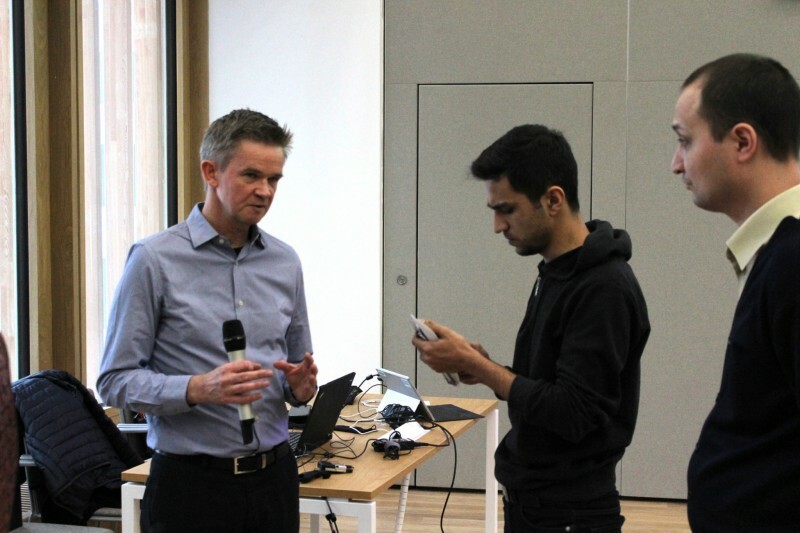 His personal example of how he developed his career by combining two very different areas of professional knowledge is particularly relevant to Skoltech students, whose education already bridges science & technology with business & entrepreneurship; in this sense, Dr. Scott’s talk was inspiring. Stating that technology is the core driver of the aviation industry, he placed emphasis on the importance of prospective employees having a background not just in science & technology, but also in law, business and/or entrepreneurship. Dr. Scott went into some detail about what works and what does not when it comes to innovation. A key facet he considers important when innovating is critical self-examination; in other words, an innovator should not be overconfident. He also said that the current trend is that air travel is set to increase, what with the delivery of sixty new aircraft every month, and that the current CEO of Airbus is very aware of the role aviation has in CO2 emissions. Because of this, Airbus along with other aviation industry players are striving to make new aircraft recyclable and increasingly fuel-efficient, with the ultimate goal being to have emission-free air travel in the coming decades. These goals represent opportunities for innovators seeking to enter the industry. Where do you see the aviation industry by 2050 and what advice would you give to an innovator seeking to enter the aviation industry?